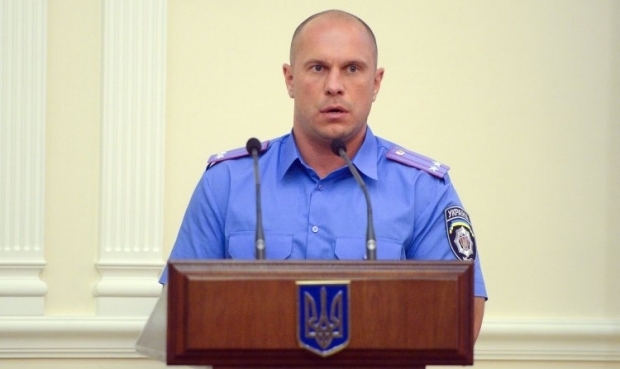 Chief of the Ukrainian National Police's Narcotics Division Ilya Kiva has cited the Book of Leviticus, the third book of the Old Testament of the Christian Bible, saying that gays "are to be put to death." "LVIV! THE BIBLE. LEVITICUS 20:13: 'If a man has sexual relations with a man as one does with a woman, both of them have done what is detestable. They are to be put to death; their blood will be on their own heads. P.S. Read the Holy Bible, trust in GOD!" he wrote on Facebook to comment on an incident related to an LGBTI event in Lviv on March 19. The posting was later deleted to be replaced by a similar text excluding the reference to Lviv and the call to read the Bible and trust in God. The LGBT initiative, called the Equality Festival, planned to arrange an Equality 'Quest' march in Lviv on March 19, as part of various anti-discrimination, pro-tolerance events over this weekend. In the early hours of Saturday, Lviv District Administrative Court passed a ruling to ban all events in the area where the Equality Festival quest had been planned, referring to security reasons. LEVITICUS 20:13: 'If a man has sexual relations with a man as one does with a woman, both of them have done what is detestable." Later, the organizers in the festival decided to hold the event at Dniester Hotel. Some hours after the festival began; the hotel had to be evacuated allegedly due to a bomb alert. When the organizers and participants in the event were leaving the venue, their buses were attacked by masked men, who threw stones and firecrackers at the vehicles. The police said they had not detained any attackers. No casualties have been reported. The incident was condemned by a number of foreign ambassadors. The Ukrainian office of Amnesty International said that officials' LGBTI-related statements encourage extreme rightists in action against sexual minorities. Lviv Mayor Andriy Sadovy described the incident as a well-planned act of provocation to discredit Ukraine. In his words, Ukraine has sustained "reputational losses."